When searching for the obituary of Malinda Curd I became very confused! I found two, one from 1911 and one from 1912. 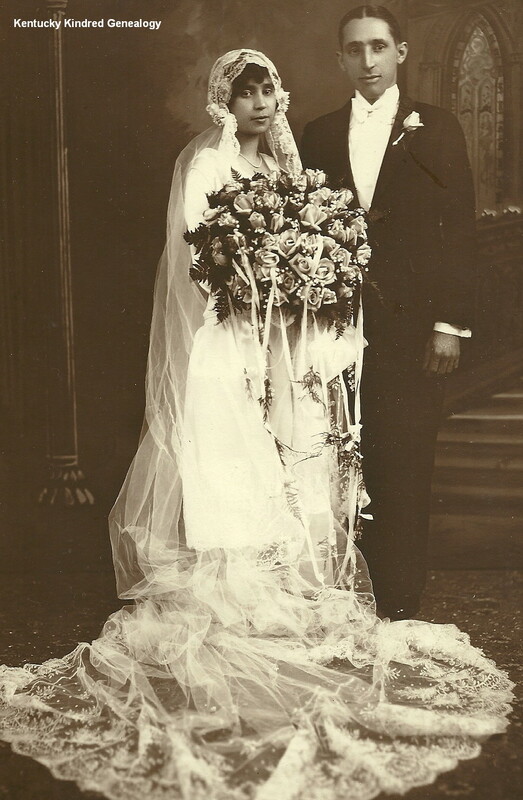 The first listed her as Mrs. Joseph Curd, the second as Mrs. Malinda Curd. 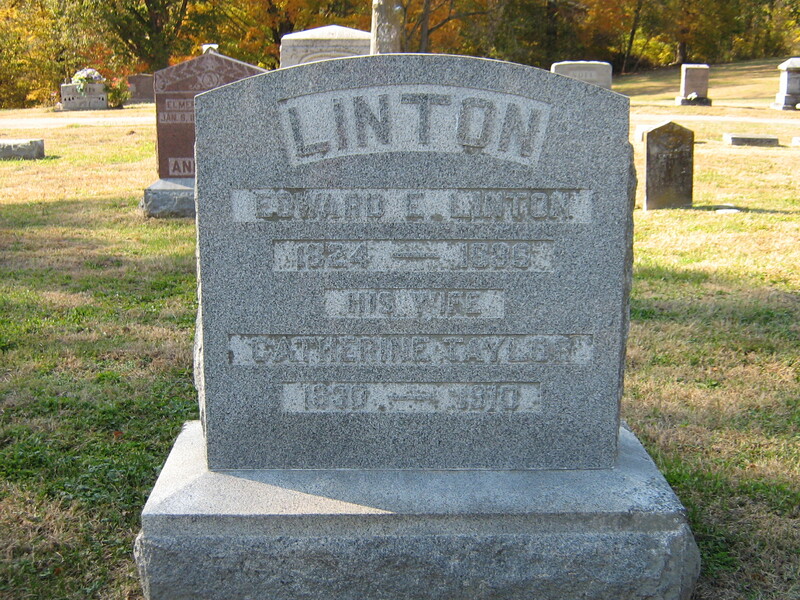 I checked my photos and the person I was looking for died in 1911. 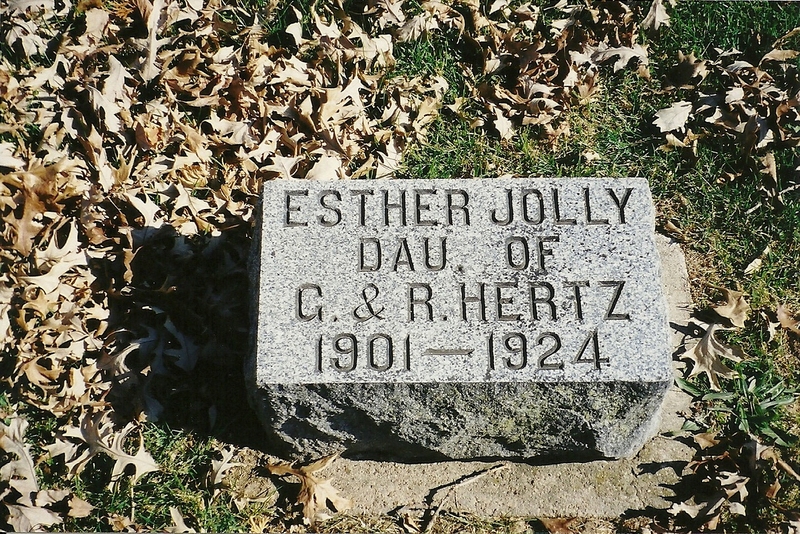 To make a small story short – she died December 26th of 1911. 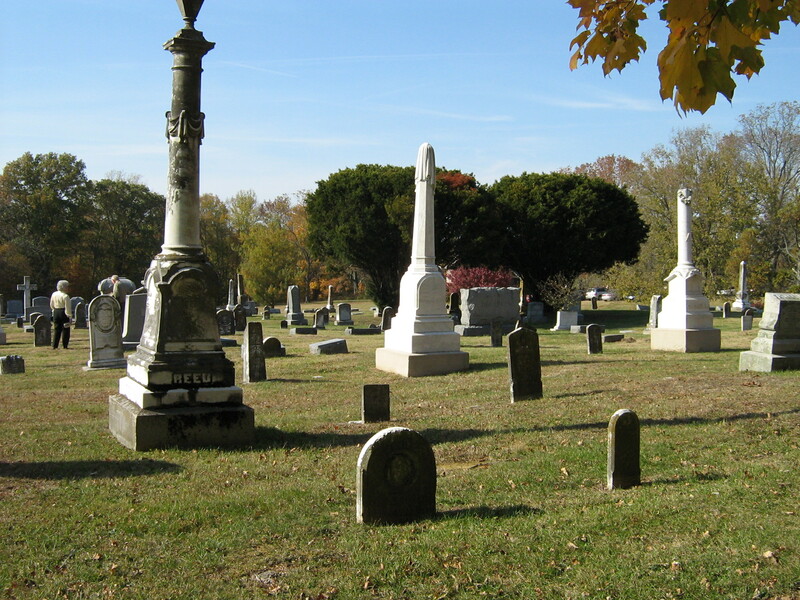 One obituary was written within a couple of days; the next obituary, in the January 12, 1912, issue of The Harrodsburg Herald! Sometimes a quick glance is not enough! 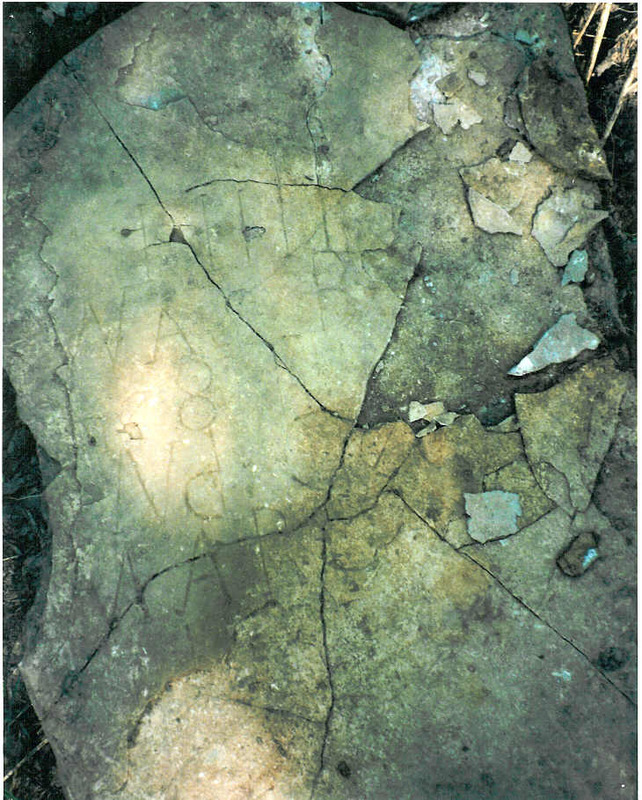 What a lovely stone! 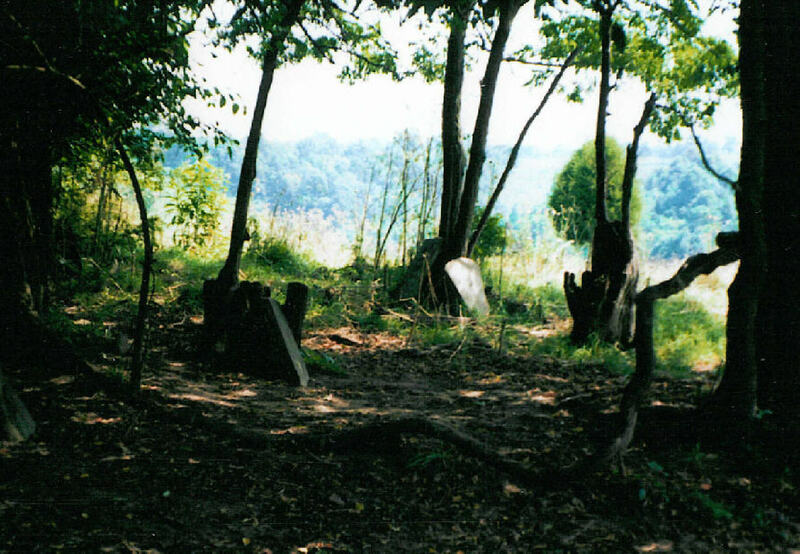 One of the Woodmen of the World – a beautiful joining of two lives – as two trees! 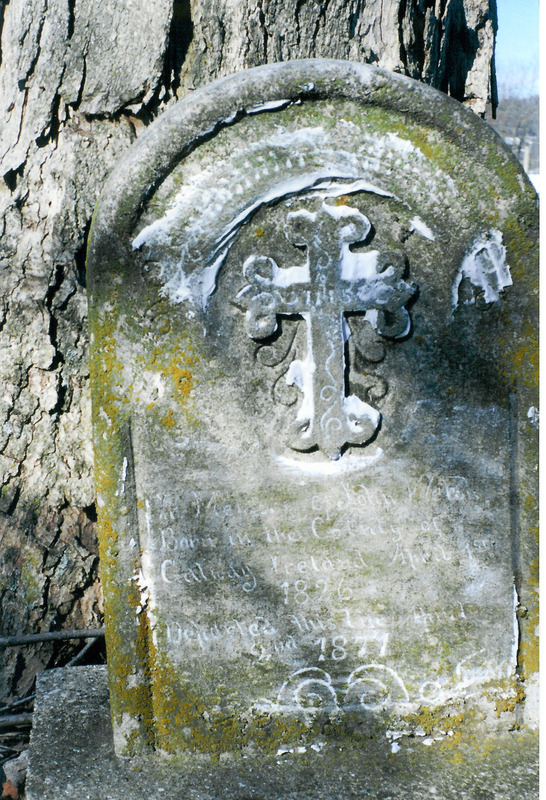 Mrs. Malinda Curd, wife of J. T. Curd, died at her home, some three miles from Burgin, Tuesday afternoon, December 26th, at 20 minutes past 5 o’clock. 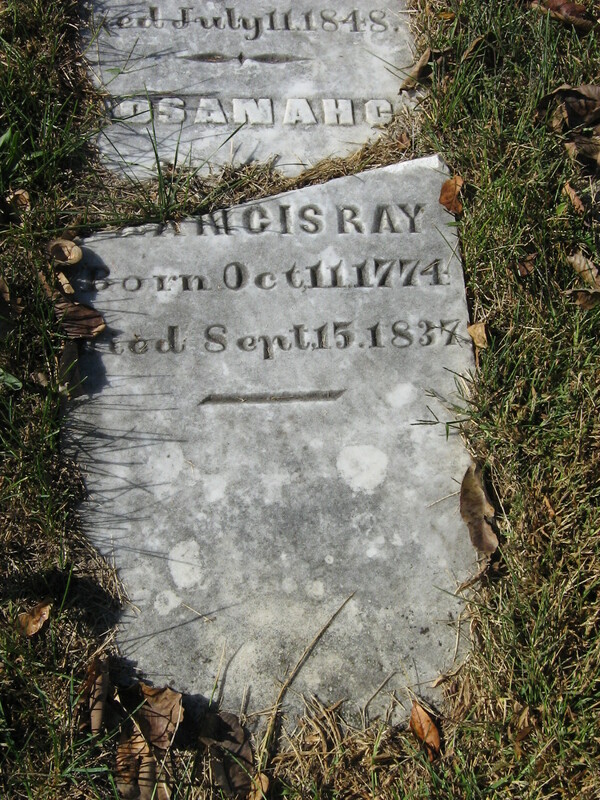 She was born, May 3, 1841, and was, therefore, in the 71st year of her age. 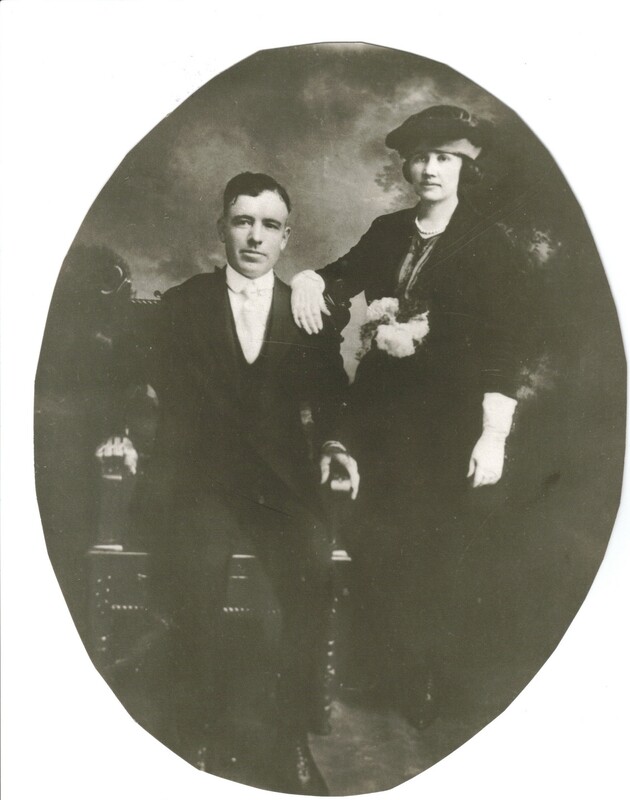 Her maiden name was Poore, her father’s family consisting of seven children, only two of whom are now living, Mrs. Hackley and Mrs. Hamilton, of Garrard County. 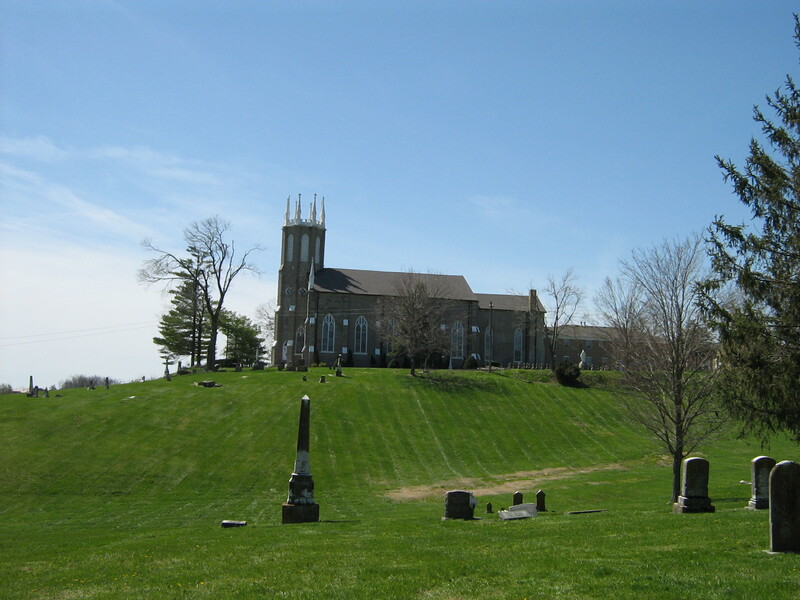 She was married to J. T. Curd, at her father’s home, by Rev. 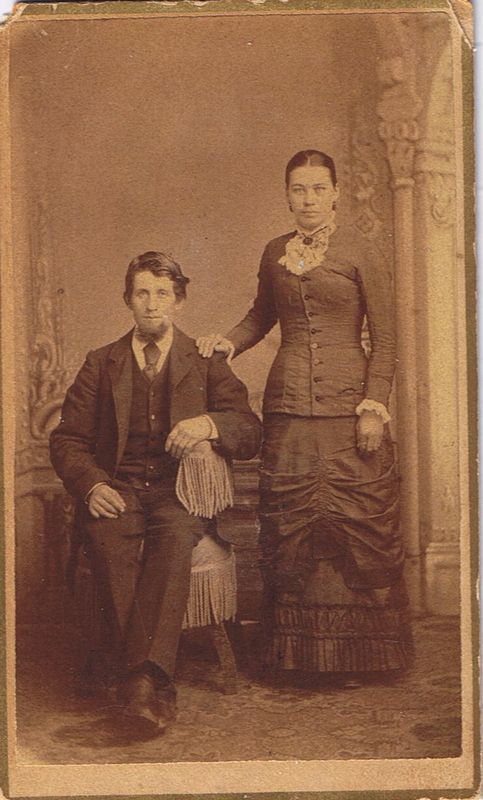 S. Cook, May 1st, 1862, and had she lived a few months longer, they would have walked the path of life together 50 years. The troubles incident to life were theirs, just as they belong to all, but truly this union was a happy one. They lived for each other, and were never happier than when in each others company. 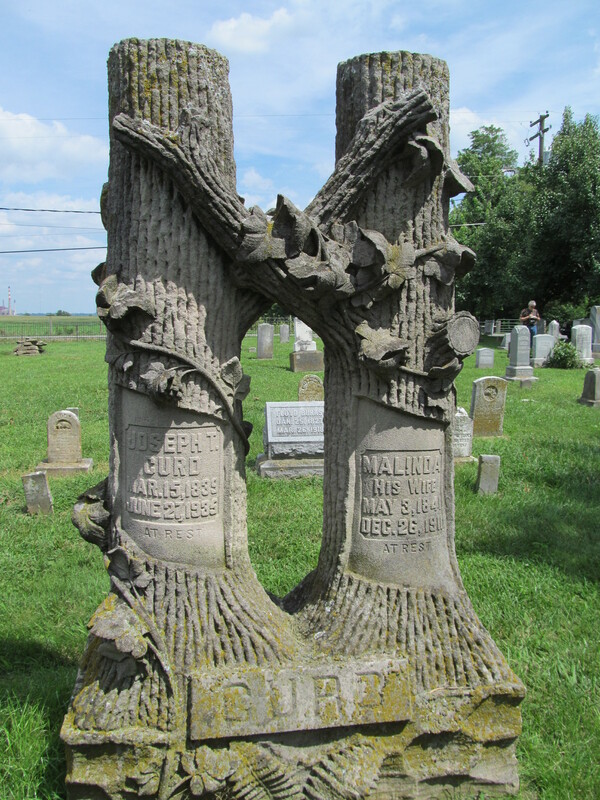 To them were born 5 children, four of whom survive her, A. W. and John R. Curd, Mrs. James Campbell and Mrs. W. D. King, all of them of Mercer County. 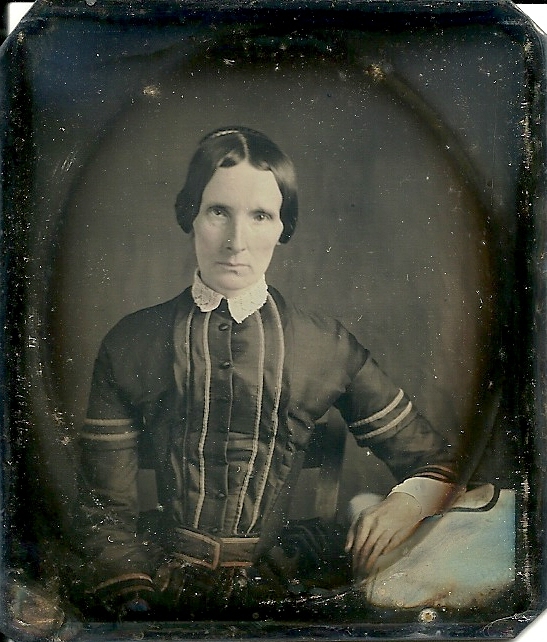 The other daughter, Mrs. Sarah Campbell, died some few years ago. 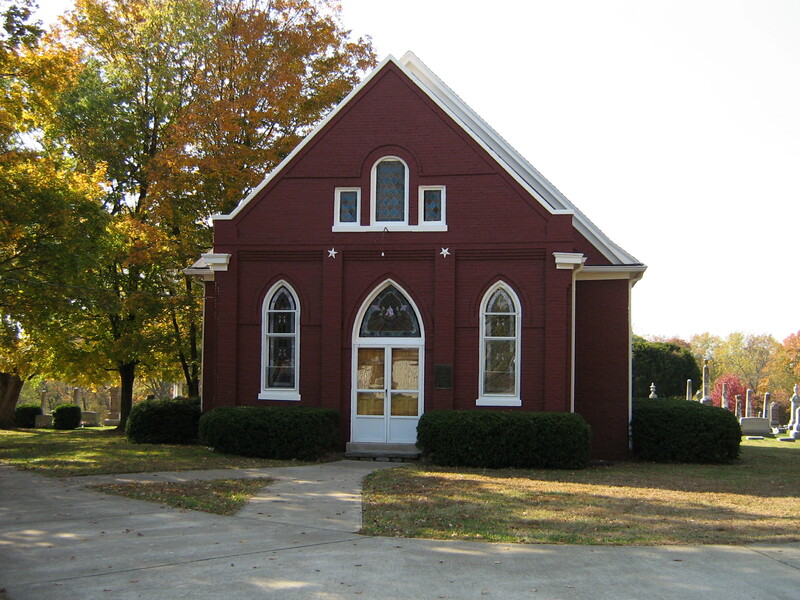 Mrs. Curd became a member of Shawnee Run Church, of which her husband for many years has been a deacon, about 40 years ago, having been baptized by the same preacher who married her, Rev. S. Cook. for 18 years I have been her pastor and I can truly say she has been faithful to her Lord and to the church. She loved the house of God and was always there when it was possible. Joseph Thomas Curd, highly esteemed citizen of east Mercer County, who had almost reached the century mark, died Thursday, June 28, at his home near Curdsville. 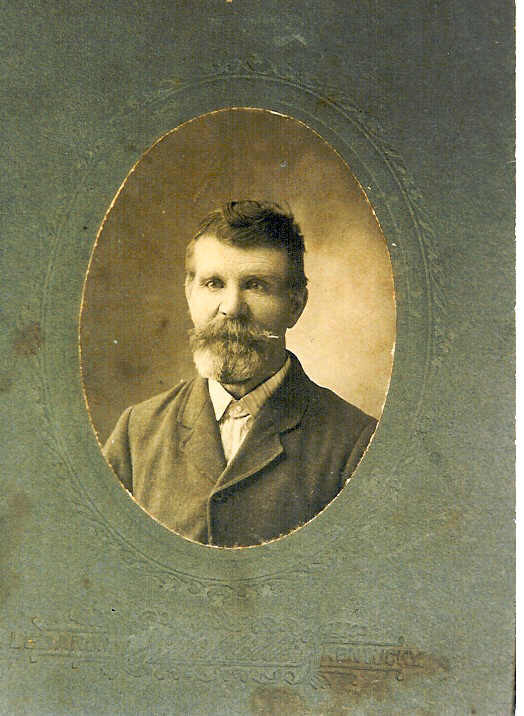 He was a native of this county and had lived his entire life in the same section. Born March 15, 1839, he was nearing his 100th birthday with remarkable vigor, until recently the years took their toll of his strength. About 86 years ago he united with the Shawnee Run Baptist Church, in which he has been an honored member and for over 50 years a deacon. He attended services regularly until about a year ago. 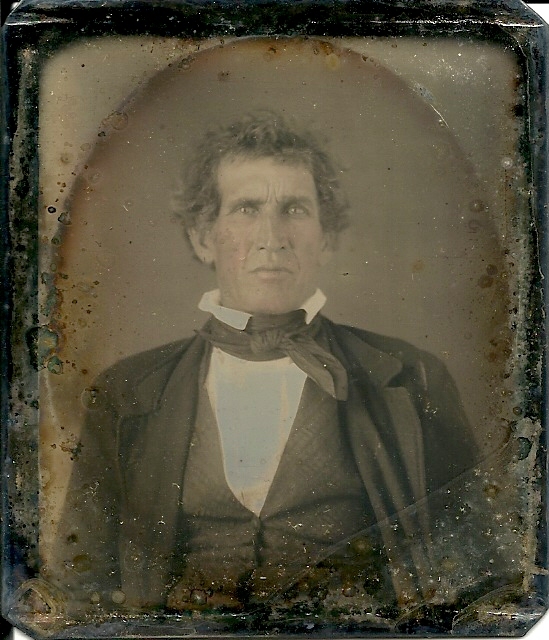 He was the son of John and Mary Munday Curd. 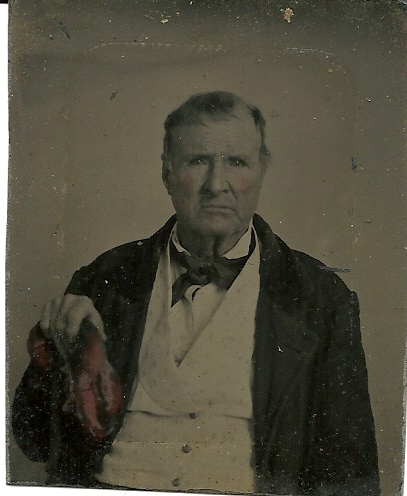 He enlisted in the Union Army in the War Between the States in May 1862, leaving a wife of three weeks, who was Miss Malinda Corn, Garrard County. 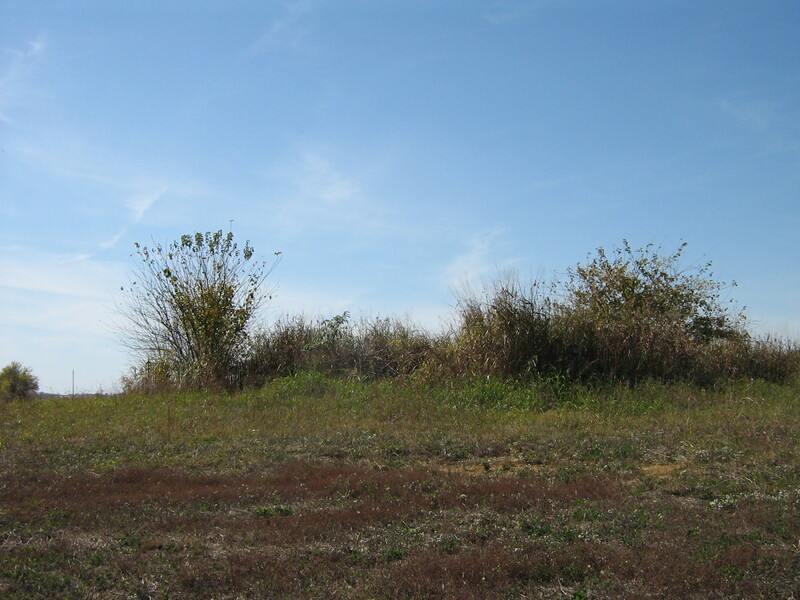 He was assigned to Company F, 11th Kentucky Cavalry, under Captain Frank Wolford and was in many skirmishes in Kentucky, several against the men of General John Hunt Morgan. He also took part in the Battle of Knoxville. He received an honorable discharge in June, 1865. 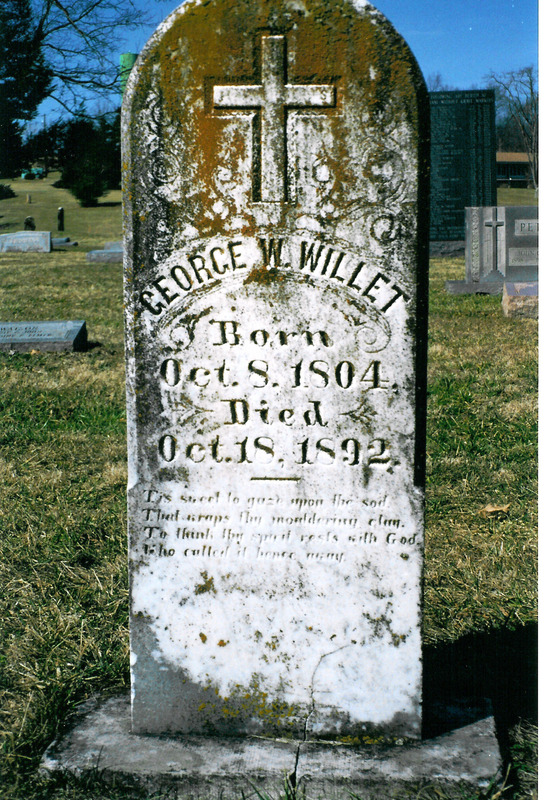 Following the death of his first wife, December 26, 1911, he was married to Miss Ann Witt, of Boyle County, in 1913, who died April 19, 1930. 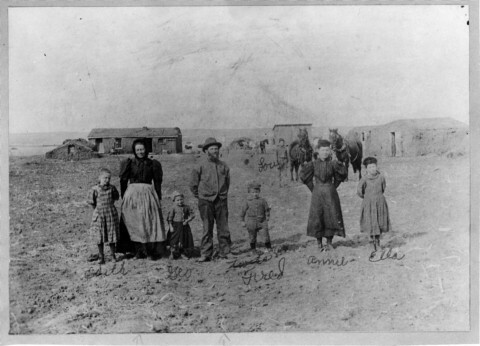 Surviving are four children by his first marriage, Mrs. W. D. King, with whom he made his home; Mrs. James Campbell, Burgin; J. R. Curd, of Danville; Col. A. W. Curd, of Tucson, Arizona, who arrived here a few days before his father died. 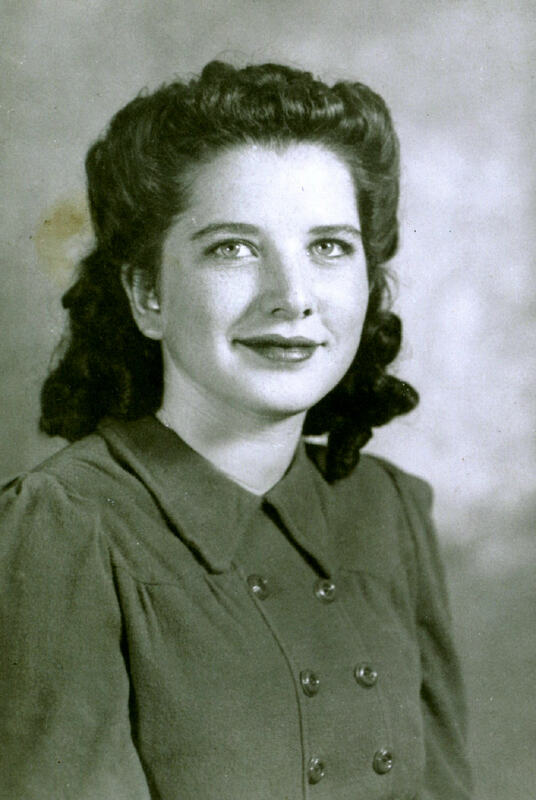 Fourteen grandchildren and the same number of great-grandchildren also survive. The funeral was held at 10 o’clock Saturday morning at the Shawnee Run Baptist Church, near Burgin, conducted by the Rev. W. D. Moore, of Anderson County, a former pastor for over 30 years of Shawnee Run Church, and a long time personal friend of “Uncle Jody”. The Rev. 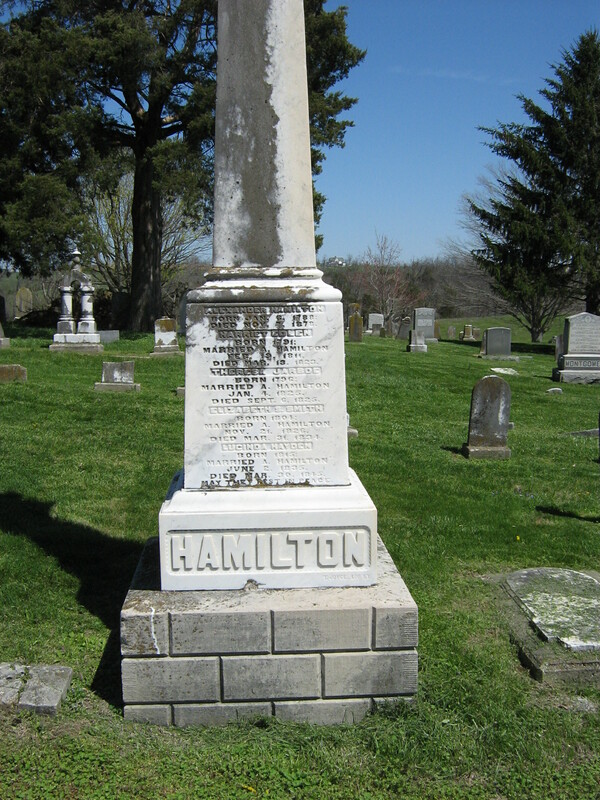 G. Whitcomb Ellers, pastor of the Harrodsburg Baptist Church, assisted in the service. 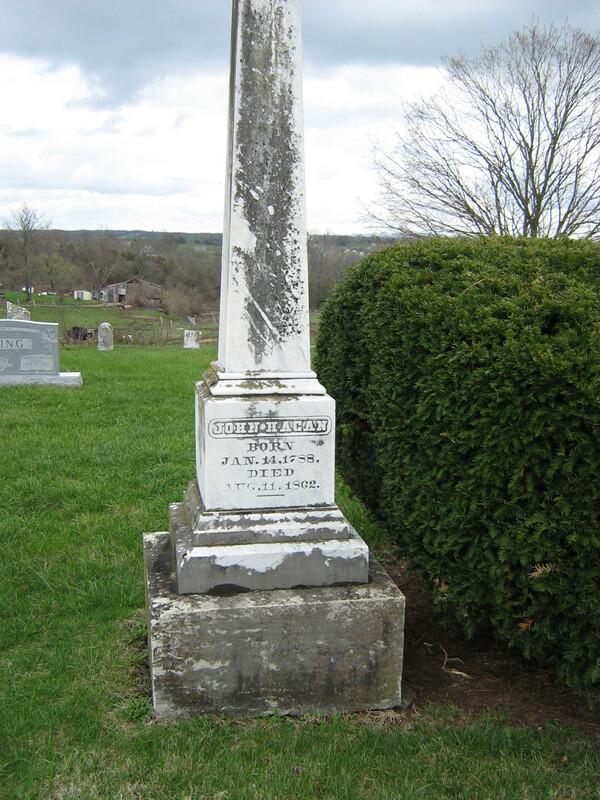 Burial was in Shawnee Run Cemetery. 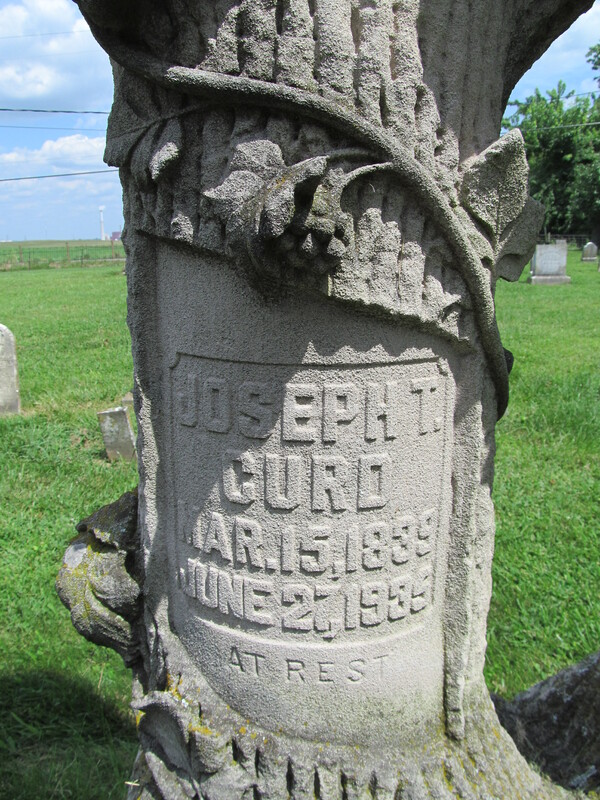 Joseph T. Curd, March 15, 1839 – June 27, 1935. 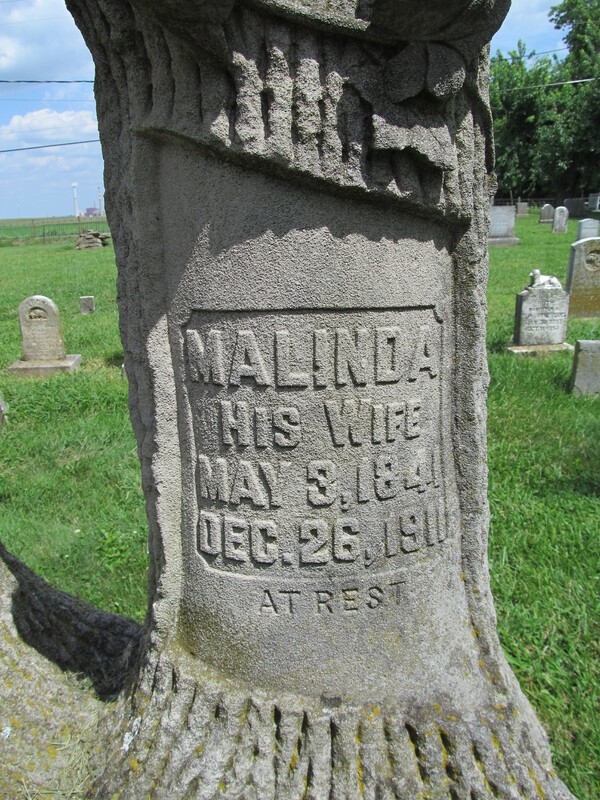 Malinda, his wife, May 3, 1841 – December 26, 1911. 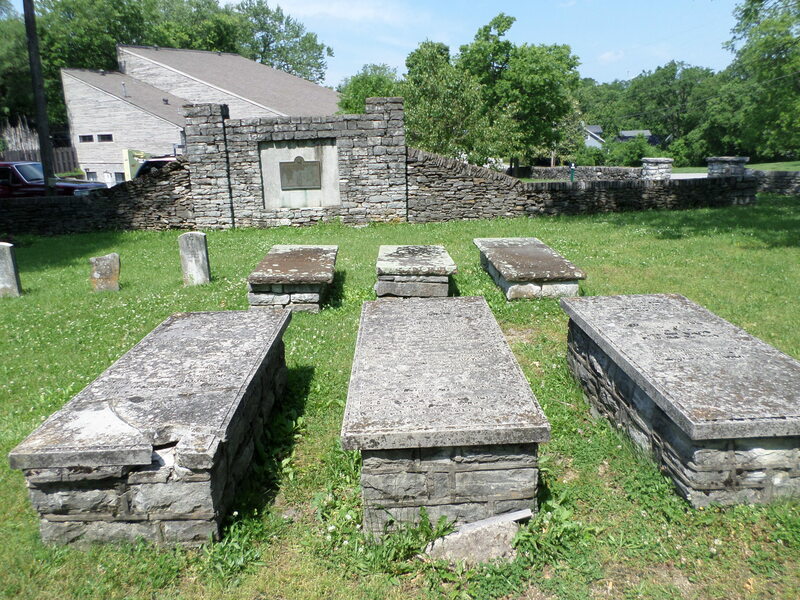 Shawnee Run Baptist Cemetery, Mercer County, Kentucky.